Hands & Earth: Six Perspectives on Japanese Contemporary Ceramics . .
More than 40 important works created by 35 leading contemporary Japanese ceramic artists will be on view at the Lowe Art Museum from June 20 to September 23, 2018. All of the works are drawn from the collection of Carol and Jeffrey Horvitz, who have the most significant encyclopedic collection of major Japanese modern and contemporary ceramics outside of Japan. Hands & Earth comprises six thematic groupings of important works created over the course of the past six decades by some of Japan’s most important artists. 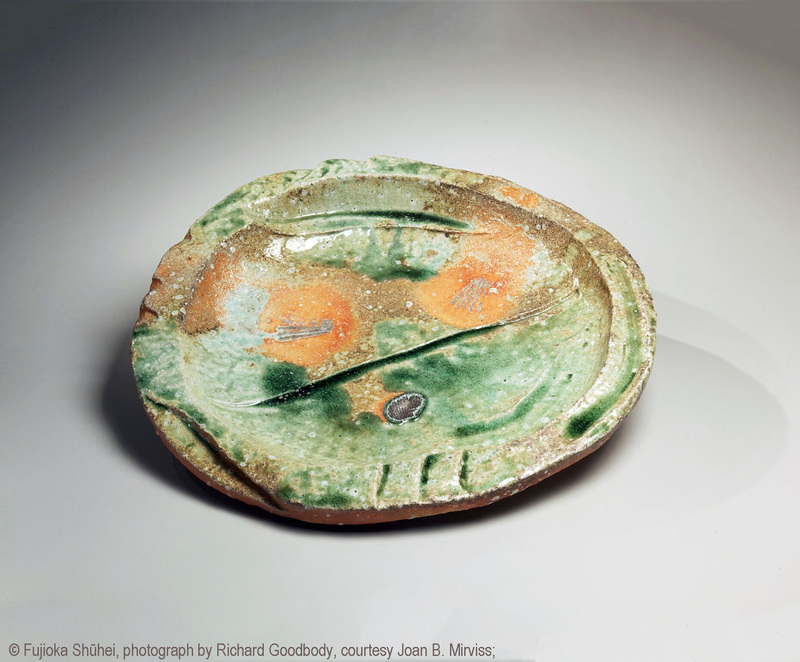 Together, these pieces provide a survey of 20th and 21st-century Japanese master ceramicists, the breadth of whose work is highlighted by the range of differing shapes, glazes, and surface treatments on view. The exhibition, which will be traveling on to the Crow Museum in Dallas and the Jordan Schnitzer Museum of Art in Eugene, OR, is accompanied by a fully-illustrated catalogue featuring essays by leading scholars of Japanese art, history, and culture Andrew Maske and Meghen M. Jones as well as artist biographies authored by Joan Mirviss. Katō Yasukage, who was one of the top young ceramic talents in Japan, specialized in the centuries-old traditions of milky white shino and green copper glazed oribe wares. Following the sudden deaths of his father and grandfather, both renowned ceramists, the fifteen-year-old Katō was sent by his family to Bizen to study ceramics for several years. After further academic training, he returned home to Gifu, bringing with him a fresh vision to these classical techniques, which resulted in an oeuvre of powerful forms and exquisite glazes. He was one of the very few shino-oribe artists in Mino who still used wood-firing techniques. Throughout his career, Kondō Takahiro has striven to determine his own artistic identity through extensive experimentation. Born in Kyoto into a family celebrated for its traditional sometsuke (blue-and-white cobalt-glazed porcelain), Kondō began his ceramic training with the challenging medium of porcelain, and while it has remained his principal material Kondō quickly developed his own style and began incorporating other media (ranging from metal to cast glass) into his work. 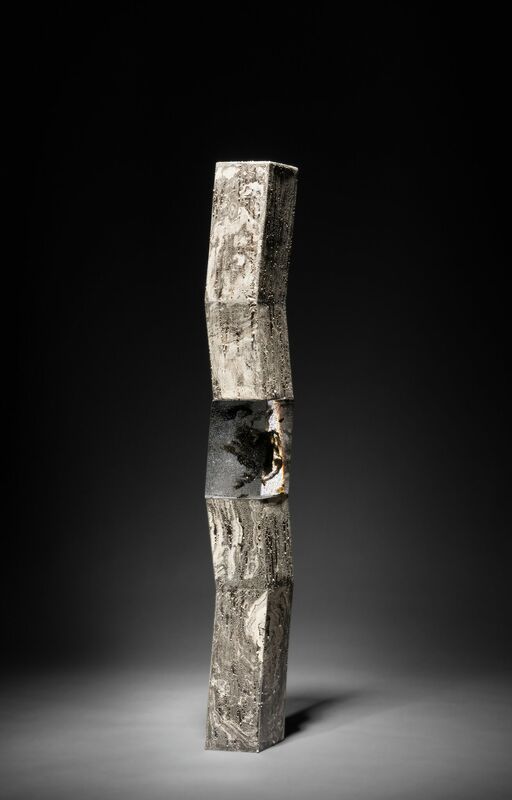 This experimentation has culminated with his patented and highly distinctive “silver mist” (gintekisai) glaze—an amalgam of platinum, gold, silver, and glass frit that renders effects from a shimmer to a stream of molten drops that cling and pool over the porcelain surfaces. As the third in a line of distinguished ceramists, Kawase Shinobu is regarded as Japan’s most outstanding artist working within the ancient tradition of Song Dynasty celadon. Brandishing his mastery of the wheel, Kawase’s new polychrome celadon-glazed vessels possess an inner dynamism. Even for an artist as skilled as he, this new glazing technique is extremely difficult; it is suitable only for smaller-scale works as it requires up to eight separate firings. Only during the final firing process do the intricately feathered patterns and variations in color – from a rich jade green to deep burgundy and crimson – reveal themselves. 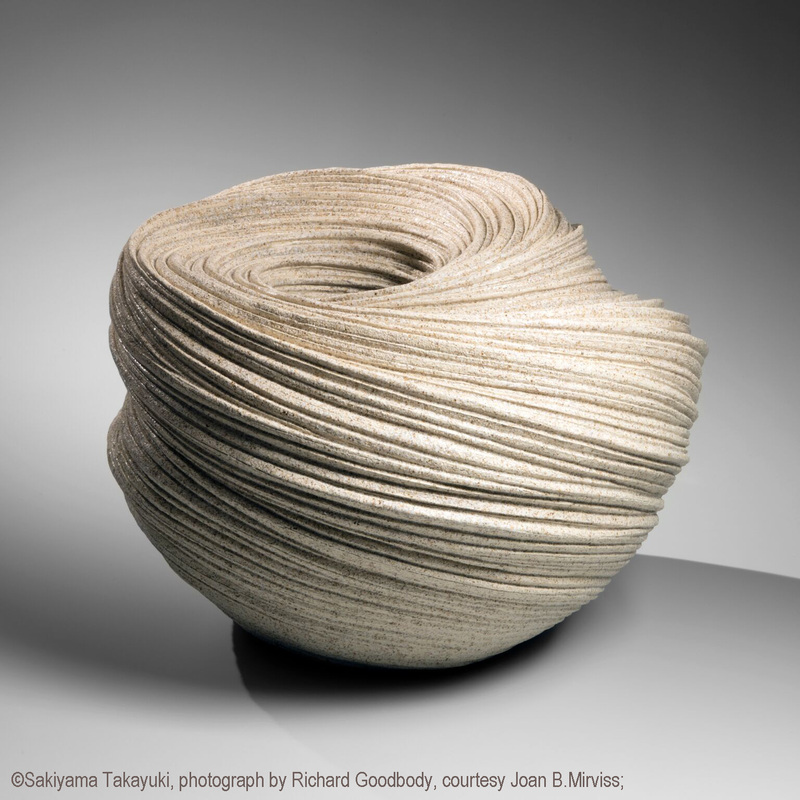 In the work of Sakiyama Takayuki, form and surface seamlessly merge to fashion vessels that are both sensuous and bold. Some appear as if made from sand on the beach, formed by the current of the receding water. Others appear to undulate and twist in space as if in perpetual motion. His creations from the series Chōtō – Listening to the Waves evoke the power and sublime nature of the ocean and its currents. Intricately carved and finished with his unique sand glaze, Sakiyama’s works remain true to their origins as functional vessels while conveying a highly sculptural quality. 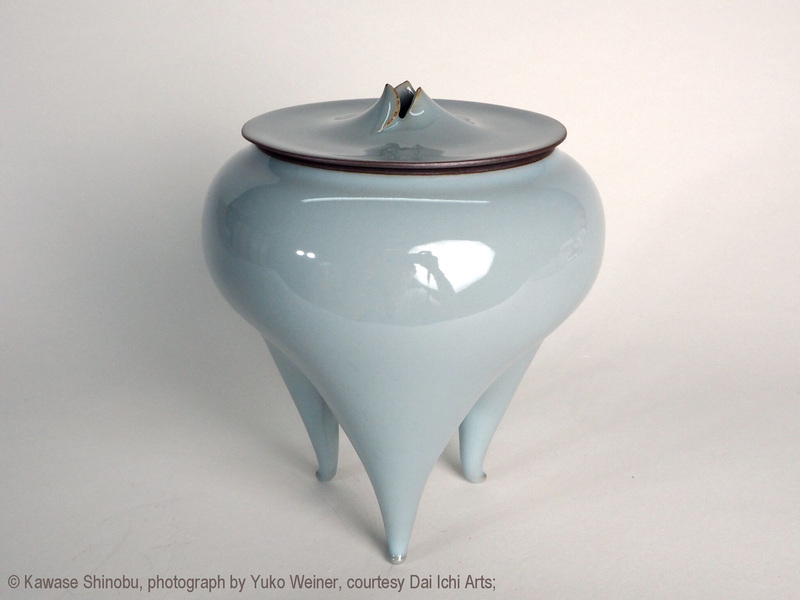 Fujioka’s sculptural vessels testify to this artist’s mastery of the delicate dance between tradition and modernity. Firmly grounded in tradition in terms of materials and process, he is able to seamlessly blend that with a contemporary sense of form always rooted in function. Through an arduous three-day natural wood-firing, his work flaunts jade-like green glazes with kiln effects like vitrified ash (bidoro) and scorched planes (koge), for which his region, Iga, has been celebrated for centuries. His works that survive the precarious and extremely high temperature firing process tout the natural beauty of the glaze and the clay. 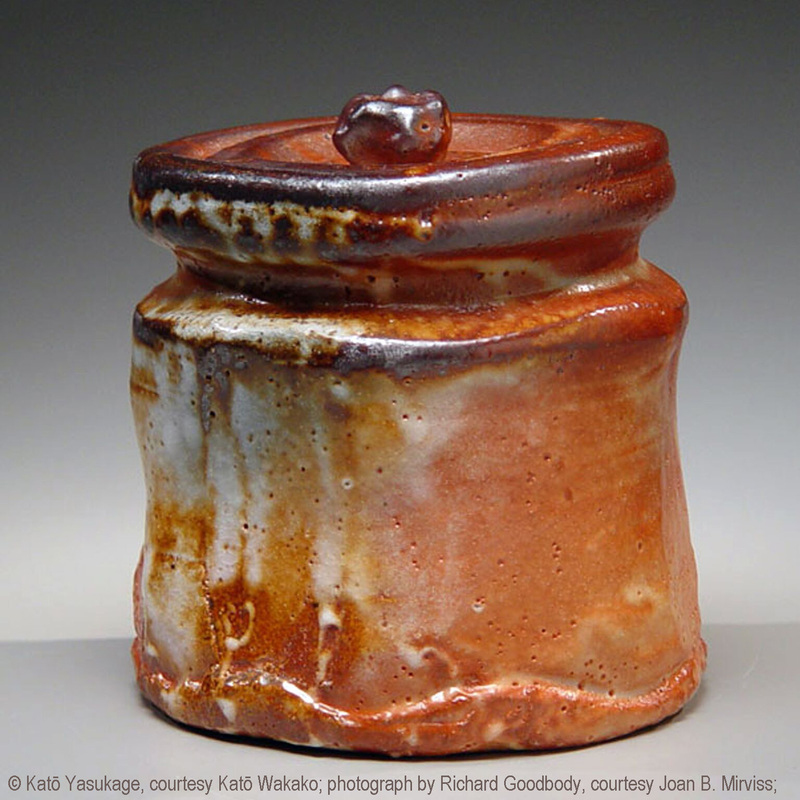 Traveling exhibition, Japanese contemporary ceramics: the Horvitz Collection PART II Shifting Rhthyms: The Sculpted Moments of Shoko KOIKE Marie Kondo and the Life-Changing Magic of Japanese Soft Power The foodie’s foodie, Mora Chartrand-Grant, shares about her donabe.